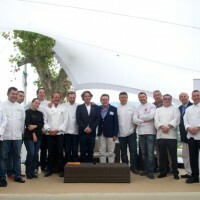 The Collège Culinaire de France launched the label “Restaurant de Qualite” on September 21, 2014, at the Etoiles de Mougins. Many prestigious chefs were attending the ceremony. The name Restaurant de Qualite (Quality Restaurant) was born in 2013. This label comes after the creation in 2013 of the association Collège Culinaire de France, co-chaired by the renowned chefs Alain Ducasse and Joel Robuchon. 170 chefs, praised for their talent, skills and human, ethical and professional values, then joined the movement. 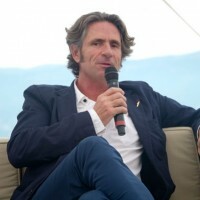 The inauguration of this new creation in the Provence Alpes Côte d’Azur region (the previous one had been held in July in Ile de France), was held by Gerald Passédat, three-star chef of the restaurant Le Petit Nice in Marseille and founder of the Collège Culinaire de France. 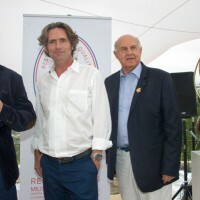 He had asked the presence of Arnaud Donckele, Chef of La Vague d’Or at the hotel La Résidence de la Pinéde in Saint-Tropez, Frederic Anton, Meilleur Ouvrier de France, three-star chef of restaurant Le Pre Catelan in Paris and Christian Regouby, Managing Director of Restaurant de Qualite. 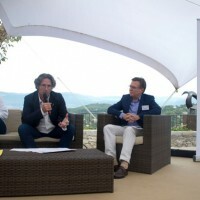 The Collège Culinaire de France Association aims to support and develop a corporation of artisans restaurateurs who want to offer their customers an authentic, quality cuisine, but also to promote the French gastronomie worldwide. 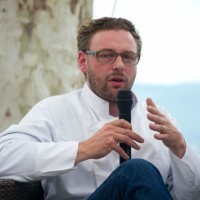 The Collège Culinaire de France Association now has more than 800 members, from large and small French establishments. 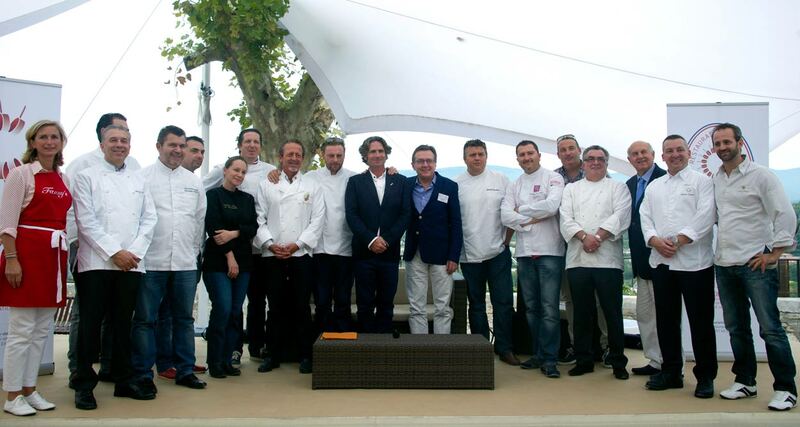 During the press conference at the Media booth at Etoiles de Mougins, the chefs have remembered why they created this new name and what their criteria were. After them, eating well in France has become a rare commodity: “It’s everything and anything!”, they hammered in common. For those lovers of nice gastronomy, it is unbearable in France not to know where from the food we eat comes. It is as well unacceptable to being forced to accept poor service that does not respect the client, while we are the largest “factory” of chefs in the world. The hallmarks of this association are: the transparency in the dish, promote the real “fait maison” and ask restaurants to make an effort to increase the quality of hospitality. In their speeches, the chefs reiterated that they would not be another label in the current jungle of many names that bloom every morning at the discretion and mood of politicians. That only serves to distract the consumer from the true values of the French cuisine. To prove their commitment to their cause, they emphasized the primality of a “militant act” and that they don’t want no help from the state to keep their freedom. - Support and coordinate the network of Quality Restaurants in their region, foster exchange and sharing of best practices and relay the College ideas to all publics. 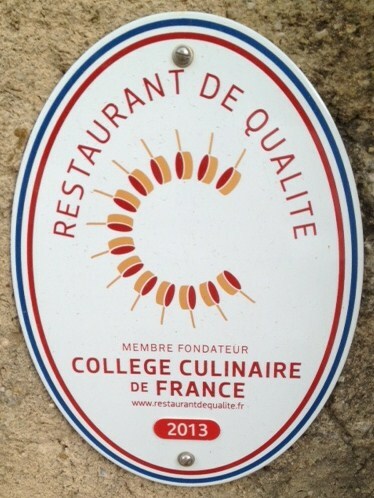 To date and in less than a year, the Culinary College of France has already validated 810 names “Restaurant de Qualite” at the national level. 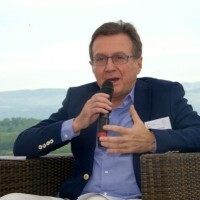 The annual fee for each member is 365 euros.